Thread: New York Giants cheating? There are serious suggestions in the National Football League that the New York Giants have been cheating in the playoffs by intercepting radio transmissions.The matter was first brought to the attention of NFL commissioner Paul Tagliabue after the Giants defeated the Philadelphia Eagles in their playoff game two weekends ago.The Eagles said they have reason to believe the Giants were able to listen to the plays being sent via radio from coaches to their quarterback, Donovan McNab. All NFL quarterbacks have helmets equipped with special radios. Once the Giants heard the plays, the Eagles are claiming, they were able to set up their defence accordingly with hand signals.Yesterday, similar fears were being expressed by the Minnesota Vikings, who were crushed 41-0 by the Giants in the National Football Conference final on Sunday.The NFL is desperately is trying to keep the issue quiet, what with the Giants having qualified for the Super Bowl. But, rest assured, you'll hear more about this sinister stuff in the next few weeks. "No man is happy without a delusion of some kind. Delusions are as necessary to our happiness as realities." -Christian Nestell Bovee, American author (1820-1904). I can't imagine anything underhanded in professional sports. 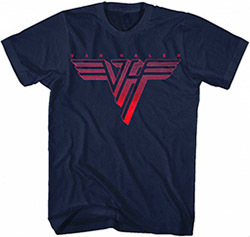 The Michael Jordan of Van Halen websites!!! LOL, oh boy, that's a good one. Here's to your thin red line....MMMMMM I'm stepping over! MOR GIANTS STADIUM - 2 days? VH Trivia - NO CHEATING!